Be the first to share your favorite memory, photo or story of Lois. This memorial page is dedicated for family, friends and future generations to celebrate the life of their loved one. Lois J. Harken, 86, of Cedar Falls died Monday, December 3, at her home. She was born January 3, 1932, in Parkersburg the daughter of John and Lydia Kettwig Etjen. She married Herbert Harken March 20, 1952, in Galena, Ill. He died in 1968. Lois was a homemaker, hostess at Burger King and a bartender. She retired in 2006. Survived by: two sons, Dale (Kati) Harken of Centennial, Colo., and Dean Harken of Wamego, Kan.; four daughters, Gretchen Harken of Cedar Falls, Becky Koester of North Liberty, Toni (Douglas) Carlo of Lincoln, Neb., and Karen Harken of Centennial, Colo.; three brothers, Charles, James and Craig (Bonnie) Etjen; three sisters, Shirley Bergman, Mavis Neymeyer, and Connie (Scott) Simon; nine grandchildren, Casey (Julia) Carlo, Joe (Jen) Harken, Sarah (David) Harken, Stephanie Koester, Jimi Jo (Andy) Allen, Rori Carlo, Genna (Kyle) Koester, Courtney (Kyle) Dehn, and Jackson Harken; and 11 great-grandchildren. Preceded in death by: a son, John Harken; a daughter-in-law, Deborah Harken; two sisters-in-law and two brothers-in-law. Lois was an avid Hawkeye and Cubs fan. She was a passionate, vocal democrat. Lois worked at Pats Tavern and Steamboat Gardens prior to working at Burger King. Proceed in death by her beloved Boxers, Sam and Beulah. Lois would've said, 'Be safe, have fun, I love you'. To send flowers or a remembrance gift to the family of Lois Joyce Harken, please visit our Tribute Store. 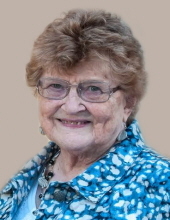 "Email Address" would like to share the life celebration of Lois Joyce Harken. Click on the "link" to go to share a favorite memory or leave a condolence message for the family.